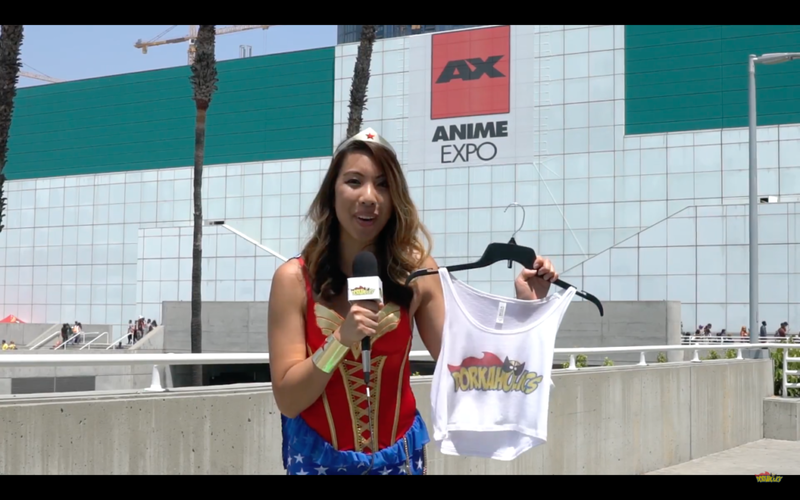 Vivian holding up the DORKAHOLICS crop top outside of Anime Expo. This year at Anime Expo (2017), Vivian and the rest of the D-Team went around asking attendees to try on the Dorkaholics Crop Top [COMING SOON]. Let us know who you think wore it best! Let us know if you recognize anyone that we haven’t a chance to identify yet! We can’t wait to attend Anime Expo 2018. Registration for next year’s event is available now! Click here to purchase a 4-Day Attendee Pass or a 4-Day Child Pass. Premier Fan passes are unfortunately all sold out.